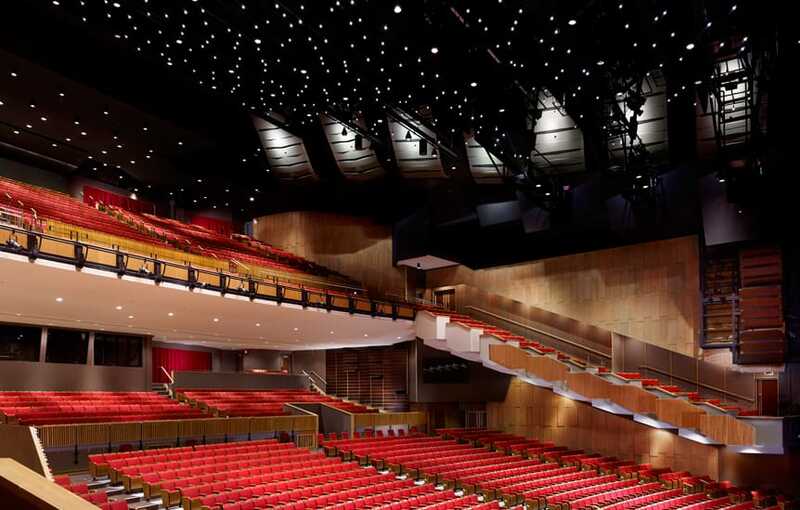 Vancouver’s Queen Elizabeth Theatre (QET) originally opened in 1959 underwent a major renovation to improve acoustics in the audience chamber and upgrade its modernist interior lobby spaces. As a classified heritage building, every effort was taken to remain sensitive to the original theatre, which included retaining as much of the fabric from the existing building as possible. Lighting systems were replaced and upgraded to modern standards utilizing LED and new fluorescent technology where effective to reduce operating costs.